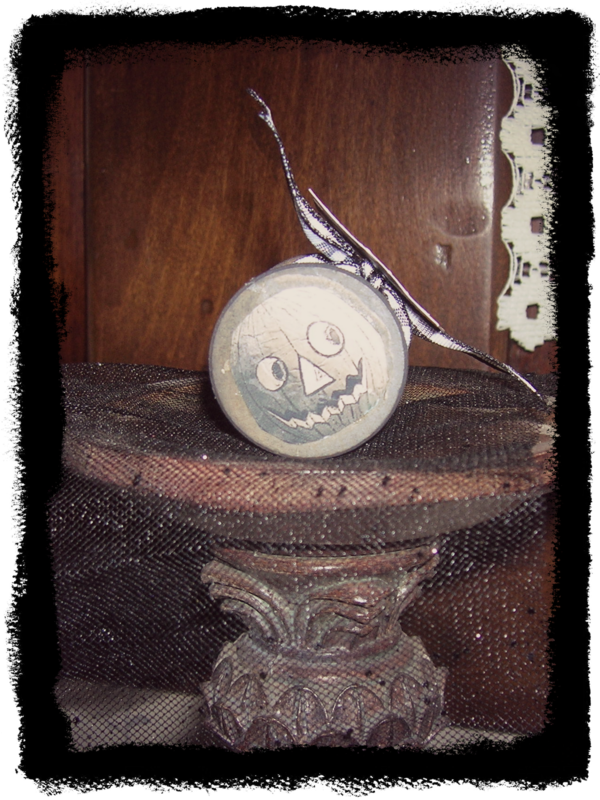 Vintage Dragonfly: Boo! It's A Spoolie! 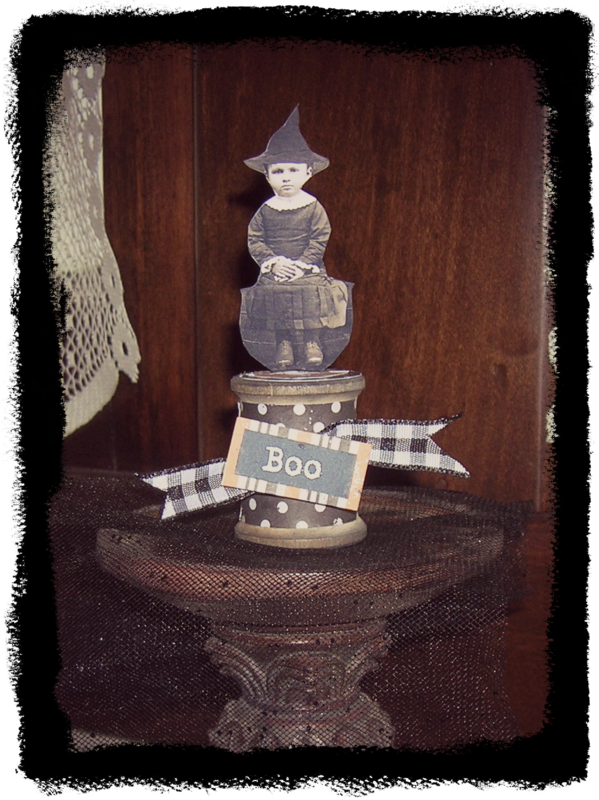 I adore vintage images for Halloween...and it's so much fun making mini assemblages with them. The problem always WAS, what do you do with the backside for a finished look? Another visit to Inka at Altered Artifacts and problem solved! This is so cute! Looks like there may be a spoolie epidemic this year! I love Inka's images. So cute! and such attention to detail with the little pumpkin on the bottom! Oh, I just love this JoAnne! I love this ... I have a ton of altered/assemblage Halloween pieces of my own ... can't part with them so I don't have them up in my shop. It's so fun isn't it. Adorable, JoAnne! Love that you backed your little witch properly, too! I'm so ready for Halloween creating--thanks for the inspiration, my friend! This is really cute Joanne! this is a wonderful ,fantastic sweet idea with the spool- you have been so bussy,-and I love your flowers in the post below. I love this little guy. 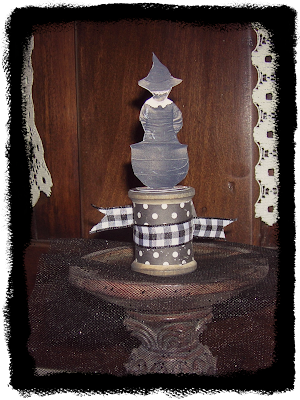 You've inspired me to get my bag of spools and create a few spoolies.